UPDATE: Conservatives Against Fantino, Oct 10/10: Christie Blatchford in ‘HELPLESS’: Front line officers ‘sold down the river’ by Fantino & Boniface. 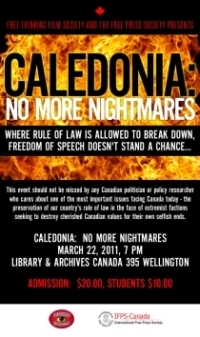 On October 26, 2010 – four years after I and 2,000 other people marched with Gary McHale on his Oct 15/06 inaugural ‘March for Freedom‘ – Caledonia’s nightmare will be revealed in all its shocking and disgusting details by Canada’s premier investigative reporter, Christie Blatchford — winner of the 2008 Governor General’s Literary Award for her book – Fifteen Days — about the experience of Canadian soldiers in Afghanistan. Those who’ve followed story lines since the Douglas Creek Estates native occupation began in 2006, and especially those who haven’t, should mark Oct. 26th on their calendars. 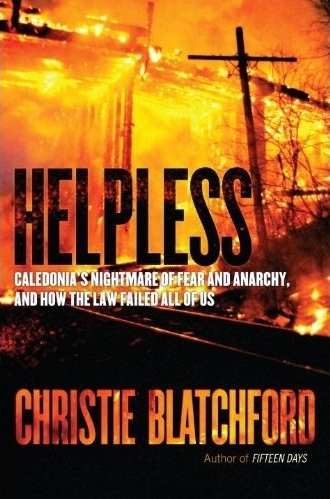 That’s the day award-winning author, columnist and longtime Globe and Mail court reporter Christie Blatchford will release her latest book called Helpless – Caledonia’s nightmare of fear and anarchy, and how the law failed all of us. Blatchford was in town back in 2006 when the barricades on Argyle Street came down, however she went to Afghanistan that summer and her focus didn’t return to Caledonia until the following year when she began to document the lives of Dave Brown and Dana Chatwell – the local couple who lived next to the occupation and launched a multi-million dollar lawsuit against the OPP and provincial government. After covering the trial last year, Blatchford admits to becoming “completely obsessed” with the issues surrounding the rule of law, and lack thereof. Although several local newspapers reported most of the issues facing Caledonia, the whole story wasn’t being properly told by the national press and Toronto media, Blatchford contends. Before she left for Vancouver to cover the Winter Games she had committed to pen a book about the Canadian justice system, but instead told her publisher that her heart was in Caledonia. Blatchford has spoken with more than 45 different people in Caledonia, many of whom she said were frank, engaged, straitforward characters, who didn’t shoot BS. It officially began on February 28, 2006, when a handful of protesters from the nearby Six Nations reserve walked onto Douglas Creek Estates, then a residential subdivision under construction, and blocked workers from entering. Over the course of the spring and summer of that first year, the criminal actions of the occupiers included throwing a vehicle over an overpass, the burning down of a hydro transformer which caused a three-day blackout, the torching of a bridge and the hijacking of a police vehicle. During the very worst period, ordinary residents living near the site had to pass through native barricades, show native-issued “passports”, and were occasionally threatened with body searches and routinely subjected to threats. Much of this lawless conduct occurred under the noses of the Ontario Provincial Police, who, often against their own best instincts, stood by and watched: They too had been intimidated. Arrests, where they were made, weren’t made contemporaneously, but weeks or months later. 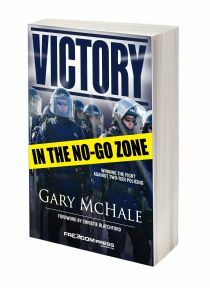 The result was to embolden the occupiers and render non-native citizens vulnerable and afraid. Eighteen months after the occupation began, a home builder named Sam Gualtieri, working on the house he was giving his daughter as a wedding present, was attacked by protesters and beaten so badly he will never fully recover from his injuries. The occupation is now in its fifth year. Throughout, Christie Blatchford has been observing, interviewing, and investigating with the tenacity that has made her both the doyen of Canadian crime reporters and a social commentator beloved for her uncompromising sense of right and wrong. “This book is not about aboriginal land claims. The book is not about the wholesale removal of seven generations of indigenous youngsters from their reserves and families – this was by dint of federal government policy – or the abuse dished out to many of them at the residential schools into which they were arbitrarily placed or the devastating effects that haunt so many today. This book is not about the dubious merits of the reserve system which may better serve those who wish to see native people fail than those who want desperately for them to succeed. I do not in any way make light of these issues, and they are one way or another in the background of everything that occurred in Caledonia. Despite the publication of outrageous lies by the OPP, our offers to outlets such as the Hamilton Spectator, the Brantford Expositor, Toronto Sun and CH TV to meet and provide evidence were rebuffed or ignored. In Helpless she tells the full story for the first time – a story that no part of the press or media in Canada has been prepared to tackle with the unflinching objectivity that Christie Blatchford displays on every page. Helpless means so much to those who endured the lawlessness of native protesters gone amok and the racial policing practices that gave rise to what Blatchford calls the “nightmare of fear and anarchy, and especially to those of us who were arrested, defamed and assaulted when we fought back against injustice and told the stories that Canada’s media, for the most part, would not tell. 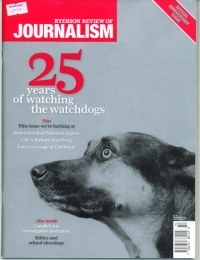 I suspect that most readers will have a difficult time believing that it is not a work of fiction, that it all really did happen right here in Canada right under the noses of the ‘watchdogs of democracy’ who were, for the most part, either wilfully blind or asleep at the switch. Hopefully, Helpless will help Canadian media chart a new course beginning with an education on the difference between news and advertising. Too much of Caledonia’s reporting fell into the latter category. VoiceofCanada, June 04/09: Regional News editorial: Caledonia politicians give your heads a shake! 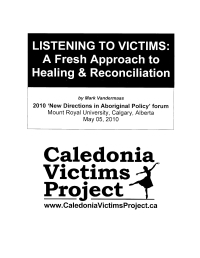 This entry was posted in Caledonia Victims, Doug Fleming, Gary McHale, Merlyn Kinrade and tagged Book: Helpless, caledonia, caledonia victims, Christie Blatchford, Mark Vandermaas. Bookmark the permalink.